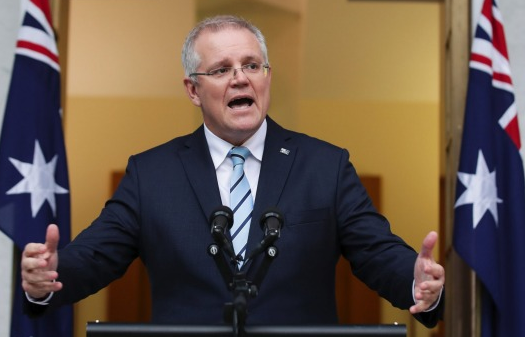 It is becoming quite clear that the new Australian Prime Minister Mr. Scott Morrison is trying to position himself much more as a conservative Catholic for the upcoming 2019 elections. Today the Labour opposition party was quick to condemn his decision to assign additional monies to Catholic and independent schools in his new education budget proposal. On Thursday already, Mr. Morrison and the country’s education minister Mr. Dan Tehan had unveiled a package of $4.6bn of additional funding to be setup over the next 10 years for Catholic and independent schools. The opposition Labor party has blamed Mr. Morrison for creating a “slush fund” for his preferred voters. Related coverage: <a href="https://thegoldwater.com/news/37411-Australia-NYT-Surprised-At-PM-Morrison-s-Migrant-Boat-Trophy-Reading-I-Stopped-These"> Australia - NYT Surprised At PM Morrison’s Migrant Boat Trophy Reading ‘I Stopped These’</a>. Defending his plan, the prime minister did interview rounds today, claiming that the funding would mostly help “drought-affected areas” and “Catholic schools in less-fortunate areas”, suggesting it would top up funding after “the Catholic system makes its decision about how it spreads its resources”. He claimed to have discussed the matter with the Catholic archbishop of Sydney, Mr. Anthony Fisher.